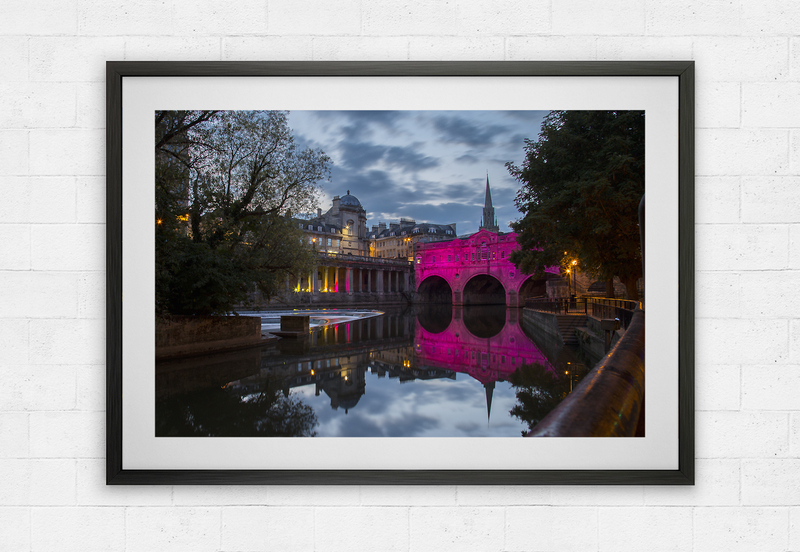 This stunning long exposure image of the famous Pulteney Bridge bathed in pink light. 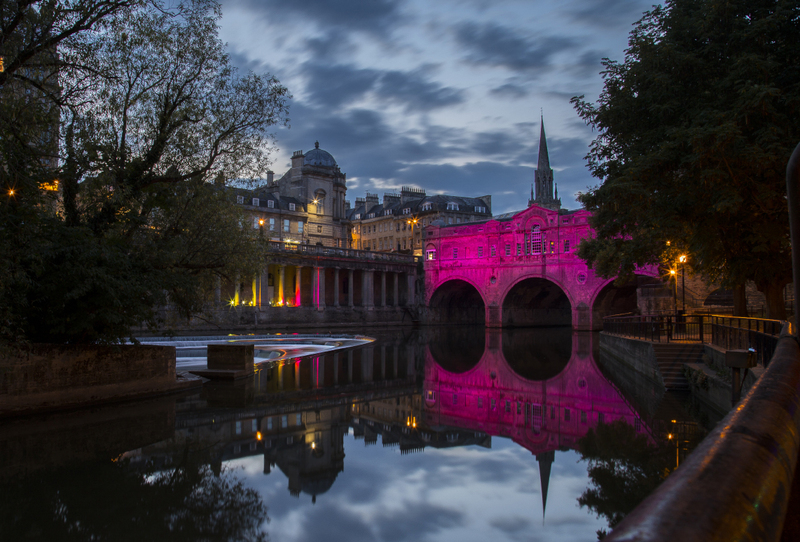 This was a special event to support cancer awareness. (Click here to view a larger image).